Rutherglen, Scotland, United Kingdom. 19 November, 2017. 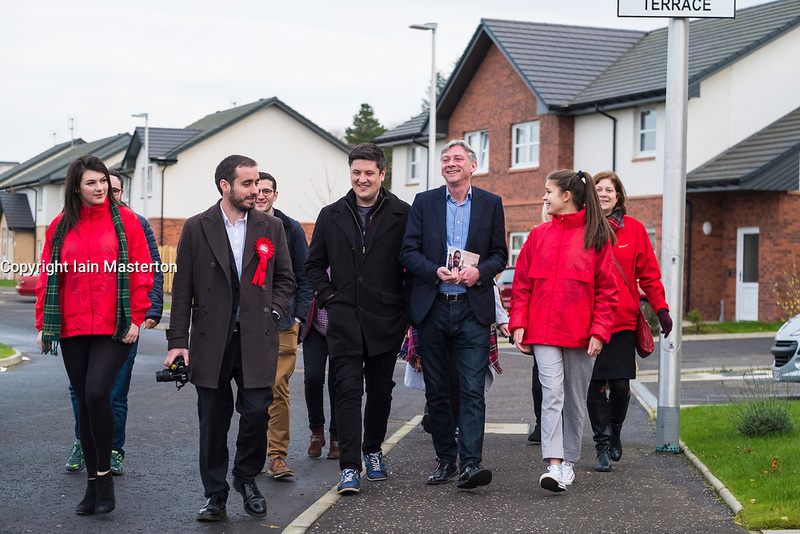 Scottish Labour Party MSPs, MPs and activists celebrate with their new Leader with Richard Leonard on a walkabout at Fernhill Community Centre in Rutherglen. Richard Leonard beat fellow MSP Anas Anwar for the Leadership.